'Supergirl' has some surprises lined up for tonight's episode when Cyborg Superman appears. But who is he exactly? The trailer for "The Darkest Places" shows one pissed off Hank Henshaw coming for Kara but which Hank is he? That's the mystery that fans online have been debating and the theory that he is the real Hank Henshaw that J'onn J'onzz emulated seems like a real possibility. This would keep comic book canon intact as Hank is Cyborg Superman. 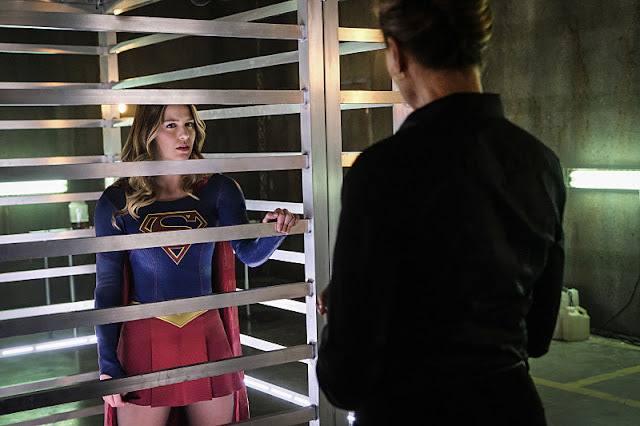 Also, Kara attempts to rescue Mon-El (Chris Wood) from the clutches of Project Cadmus while the Guardian (Mehcad Brooks) continues to make his bones as National City's latest vigilante hero. Supergirl, "The Darkest Place" airs tonight at 8 on The CW.